The talks between the Government and Labour party are due to continue this week as they seek to find a compromise on a Brexit deal. Labour party leader Jeremy Corbyn commented saying that his party was “engaging in good faith to find an alternative Brexit plan that can bring people together and get us through this crisis,” adding, “A sensible Brexit compromise that works for the whole country is still possible. "But if Theresa May and her Government are genuinely prepared to work together for the public good, they need to show us they are prepared to make the real changes to their deal that her statement on Tuesday promised.” Corbyn will today meet with Sinn Fein’s leaders in London. Elsewhere, the UK media reports that May intends to offer Corbyn a Brexit deal with a customs union arranged enshrined in law. The arrangement would ensure that any future Prime Minister would have to overturn primary legislation with majority support from MPs in order to exit the customs union and seek a harder Brexit. The Bill tabled by Yvette Cooper will have its committee, report stage and third reading in the House of Lords today, after having been passed in the House of Commons last week. If it becomes law, May will be required to table a motion pledging to request an Article 50 extension. 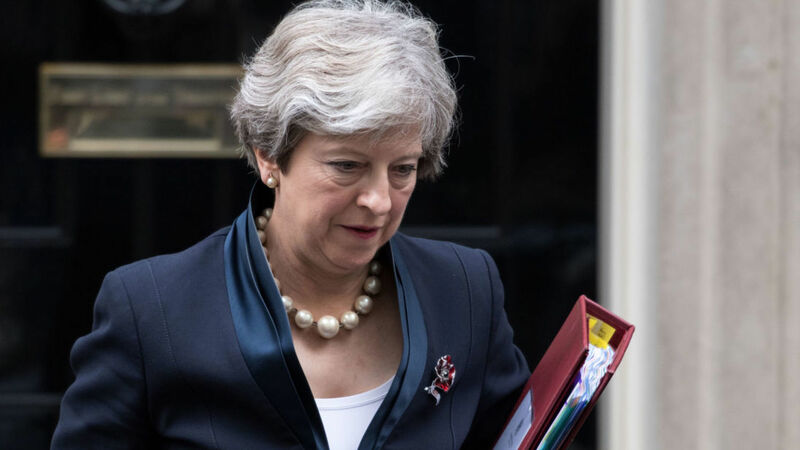 However, May has already requested an extension until 30 June in a letter to European Council President Donald Tusk on Friday.